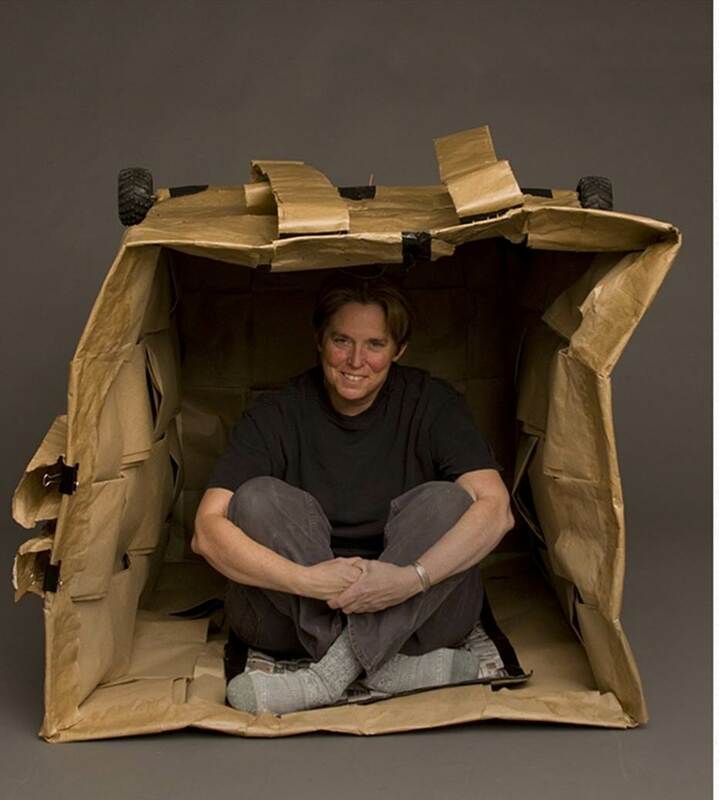 Thinking outside the box comes naturally to Beth Ireland. Whether making herself a feature in her own art installation (well, that was in a box she built – but definitely non-traditional); mixing wood with tinsel, polymer, toys and other unusual material to create bowls and vessels; or as in her recent adventure, turning a cargo van into a wood turner’s traveling workshop; she takes a novel approach people love. 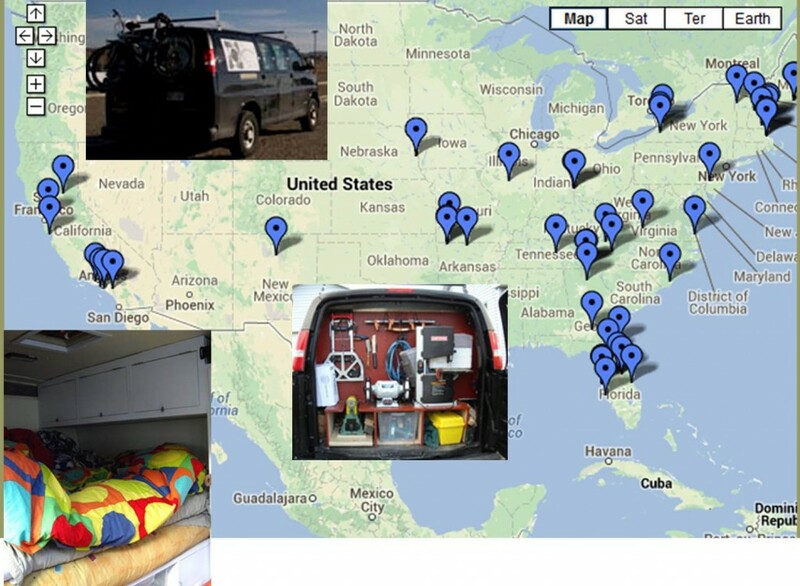 The cargo-van-workshop also has a mini bedroom and bath to serve as mobile living quarters when Ireland is on the road traveling to schools and colleges to teach woodworking across the country. She coordinates with project partner, Artist Jenn Moller who shares her passion for bringing art instruction to kids, particularly those in troubled areas, whose districts (more and more these days) don’t have budget for arts education. Now in its fourth year, their program called Turning Around America, has introduced thousands of kids to woodturning and woodworking, and the results can serve as a model for future thinking about arts ed. “When we conceived of a traveling educational program, our main goal was to empower people through the simple act of making an object in wood. The first project consisted of a seven-month journey around the country teaching hand skills through wood turning and woodworking to as many groups and individuals possible,” says Ireland. Given that today a lot of adults as well as kids don’t learn how to use tools to build and fix things as they once did; that alone would have been great, but Ireland and Moller also discovered that young people really latched onto what they were doing. 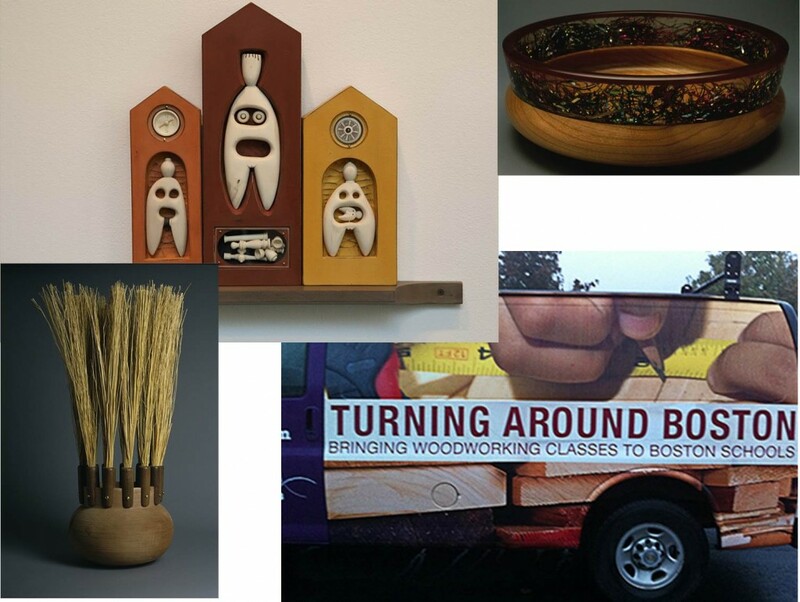 Their most recent program, entitled Turning Around Boston, was part of an initiative sponsored by the Eliot School to bring a basic woodworking experience to Boston Public School students who ranged in age from kindergarten through high school. Ireland and Moller, along with local volunteers, introduced more than 1,000 young people to woodworking. According to Moller, “The most consistent statement we heard from teachers and parents was, ‘I have never seen them concentrate so well.’” Moller said she’s wondered, “What is it about working with tools to solve problems that engages so many students? I believe it is in our human DNA and, as budgets are cut and electives are eliminated, the wonderful benefit of developing hand skills and working in wood has been taken away from many public school children. It is one thing to understand this intellectually and another to witness the besieged state many schools are in because of funding problems and problematic politics”. Ireland agrees and has great concern about the increasing disparity between the haves and have-nots in our society. She’s seeing so many children who are being left behind in areas where arts education is considered a luxury. “What we’ve also seen is that kids can have very different responses to the opportunity – those with less access and privilege often have been some of our most creative and motivated students. Whereas some schools we’ve visited that had many thousands of dollars’ worth of tools and equipment, but people there weren’t getting the kids excited and engaged, so it was all going unused.” Ireland’s also run programs outside the U.S. including one last fall in Guatemala – where adults and kids were both involved in the program and were often very interested in designing their own custom tools for work and home. Next up for Ireland is to run a woodturning intensive for adults at the Center For Furniture Craftsmanship in Maine from January through March 2014. But more arts ed will also be happening, and she welcomes invitations from schools and communities to bring woodworking and art to their hometown. More information is at http://bethireland.net and www.turningaroundamerica.com. Beth Ireland is a Woodturner/Sculptor who draws upon a lifetime of professional, traditional Woodturning/Woodworking skills to explore sculpture, architecture and relational aesthetics. Her belief in the power of the object drives her work, exploring the idea of memory locked in objects, and the creation of object as a visible symbol of memory. Working alone and collaboratively she delves into the anthropological meaning of making in our modern lives.